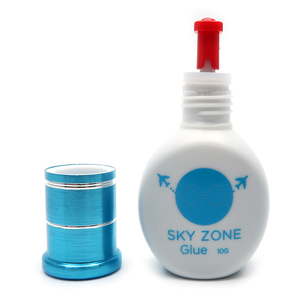 1 YRS Zhengzhou Magic Star Trading Co., Ltd.
2 YRS Rudong Joyseen Trade Co., Ltd.
3 YRS Guangzhou Stars Colors Biological Technology Co., Ltd.
4 YRS Shijiazhuang Shangjie Trading Co., Ltd.
6 YRS Qingdao Huaxinhongyuan Industrial Co., Ltd.
1 YRS Shanghai Ruohan Cosmetics Co., Ltd.
10 YRS Qingdao Seashine Import & Export Co., Ltd.
1 YRS Alice (Tianjin) Import & Export Co., Ltd.
1 YRS Qingdao Grace Arts & Crafts Co., Ltd.
1 YRS Qingdao Crownking Beauty Co., Ltd.
7 YRS Qingdao Super Far Imp & Exp Co., Ltd.
Alibaba.com offers 8,888 false eyelash glue products. About 71% of these are false eyelashes, 20% are eyelash glue, and 1% are adhesives & sealants. 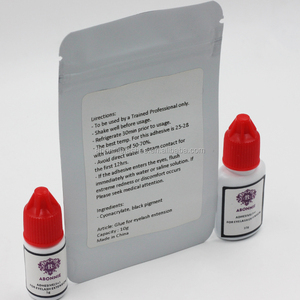 A wide variety of false eyelash glue options are available to you, such as free samples, paid samples. 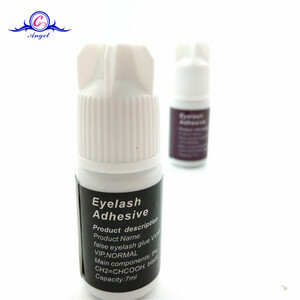 There are 8,888 false eyelash glue suppliers, mainly located in Asia. 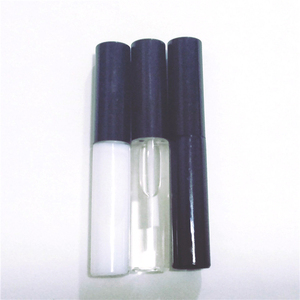 The top supplying country is China (Mainland), which supply 100% of false eyelash glue respectively. 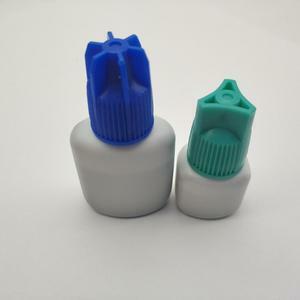 False eyelash glue products are most popular in North America, Western Europe, and South America. You can ensure product safety by selecting from certified suppliers, including 256 with ISO9001, 222 with Other, and 35 with GMP certification.